Apparently last week's timid toe prods into cold Lake Michigan were just a warm-up. This week is a totally different story for beach bumming Luke. 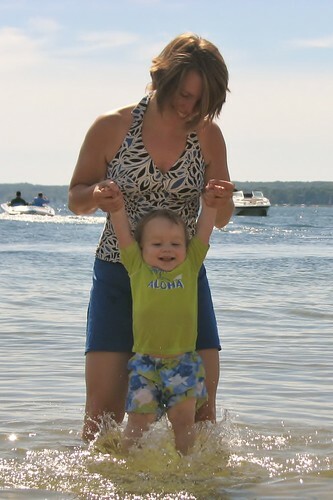 Our first day on the shores of Portage Lake near Manistee, MI, Luke ran right into the water. I would have been happier to ease my way into the water, as it was still quite cold. Apparently Luke considers it pleasantly refreshing. Gotta love our little water boy.